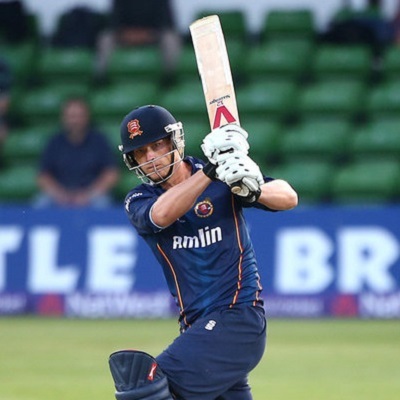 Essex played excellently under the captaincy of Ryan ten Doeschate and rushed to the Quarter-Final spot with 20 points. They played 14 matches, won 10, lost 4 and grabbed the top spot in South Division with a net run rate of +0.401. Warwickshire is placed in the North Division and they managed 16 points from 14 encounters as well. They were successful in 7, went down in 5 and achieved a net run rate of +0.235. The two teams will anticipate winning the game which will be an interesting battle in the middle. Tom Westley blasted his second century of the event for Essex in the last game against Sussex and Jesse Ryder contributed 75. Mark Pettini, Ryan ten Doeschate and Ravi Bopara have scored quite a few runs whereas Matt Salisbury, Reece Topley, Ravi Bopara and Tim Phillips are bowling perfectly. The skipper of Warwickshire, Varun Chopra is the highest run getter for his team with 386 runs comprising four fifties whereas William Porterfield, Laurie Evans and Jonathon Webb are the batsmen in form. Jeetan Patel is the second highest wicket taker of the tournament with 23 while Recordo Gordon and Chris Wright are assisting him well. Saturday August 2, 2014 @ 17.00 GMT, 18.00 local at County Ground, Chelmsford. Chances of scattered rain with the temperatures around 13-24ᵒC. Essex – Ryan ten Doeschate (C), Mark Pettini, Jesse Ryder, Tom Westley, Ravi Bopara, Greg Smith, James Foster, Graham Napier, Tim Phillips, Matt Salisbury, Reece Topley. Warwickshire – Varun Chopra (C), William Porterfield, Jonathon Webb, Rikki Clarke, Laurie Evans, Ateeq Javid, Tim Ambrose, Recordo Gordon, Oliver Hannon-Dalby, Jeetan Patel, Chris Wright. Essex proved to be a better side in maximum games of the event and they will be the possible winners.